The Bologna Reform was one of the biggest university reforms of the last decades in Europe. 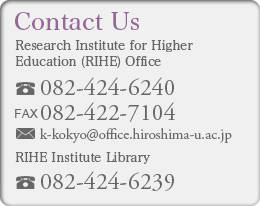 The German higher education system was also greatly changed by this reform. Dr. Happ will present the influence mainly on the study track Business and Economics. He will also provide insights into how the related education works in Germany and will show which personal characteristics of students in higher education influence the acquisition of knowledge in the field of Business and Economics. 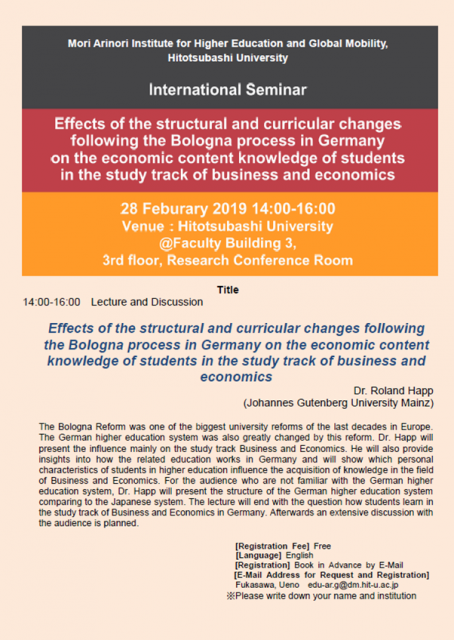 For the audience who are not familiar with the German higher education system, Dr. Happ will present the structure of the German higher education system comparing to the Japanese system. The lecture will end with the question how students learn in the study track of Business and Economics in Germany. Afterwards an extensive discussion with the audience is planned.